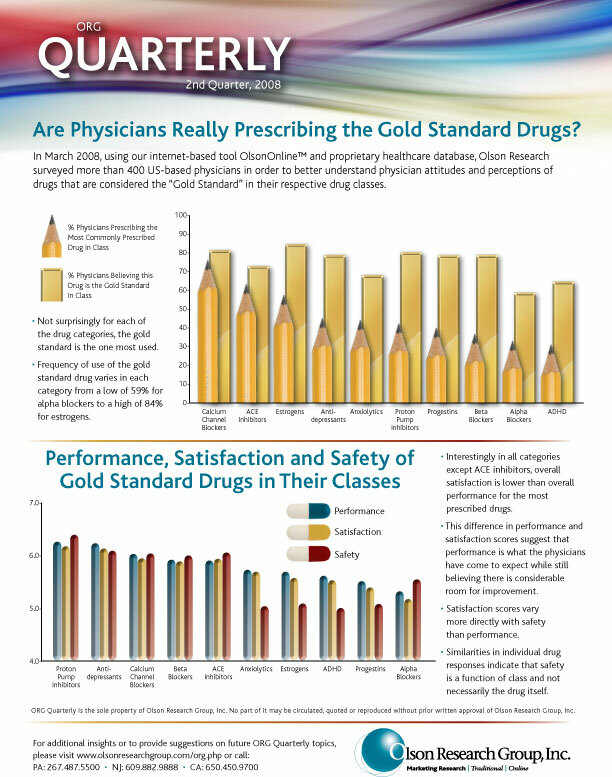 Are Physicians Really Prescribing the Gold Standard Drugs? ORG Quarterly 2nd Quarter 2008 In March 2008, using our internet-based tool OlsonOnline™ and proprietary healthcare database, Olson Research surveyed more than 400 US-based physicians in order to better understand physician attitudes and perceptions of drugs that are considered the “Gold Standard” in their respective drug classes. 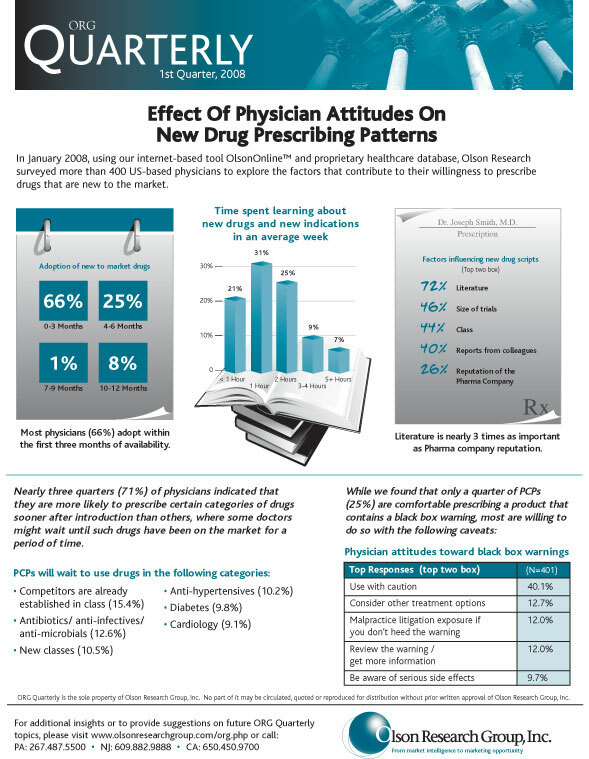 ORG Quarterly 1st Quarter 2008 In January 2008, using our internet-based tool OlsonOnline™ and proprietary healthcare database, Olson Research surveyed more than 400 US-based physicians to explore the factors that contribute to their willingness to prescribe drugs that are new to the market.